Coffee, Tea, or Hot Chocolate: Which Is Most Popular? The long-standing debate over the best hot beverage rages on, in a friendly manner, of course, year after year. Some swear by the morning cup of coffee that provides that little jolt of caffeine and the perfect aroma to get one started for the day. Others prefer a relaxing cup of tea along with a newspaper or a good book. Still others say hot chocolate is the only way to go for hot beverages. So, who is right? 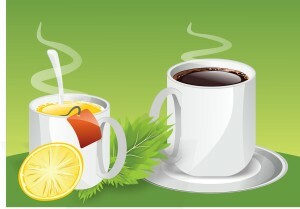 Which of the three hot beverages is most popular? Coffee is, by far, the most popular hot beverage in the world. According to a Euromonitor analysis of 2009 retail sales, consumers purchased just under 5,000 pounds of coffee per capita as opposed to about 277 pounds of tea. Here in the United States, coffee dominates the hot beverage market with the average consumer drinking several cups a day. The U.S. is easily the largest consumer of coffee in the world, per capita. There doesn’t seem to be any drastic regional differences between coffee and tea trends in the U.S., with the possible exception of a few cities with a heavy population of young people. According to Forbes, young people are beginning to eschew coffee in favor of tea due to the supposed health benefits of doing so. Along those lines, green tea is very big among the younger crowd. Forbes cites a 2015 study by YouGov that shows tea consumption in the U.S. has grown some 20% since the turn of the century. It is especially strong among those under 30. For example, the millennial crowd shows equal preferences for coffee and tea, with about 42% favoring one or the other. Contrast that with older Americans who prefer coffee by a ratio of nearly 4-to-1. In cities with a significant millennial population – like Seattle, San Francisco, and Boston – tea consumption is a lot stronger than in other places. However, it still has a long way to go to catch up to coffee. Hot chocolate does have its place as a competitor against coffee and tea. However, hot chocolate consumption is still viewed by most people as entirely separate from the coffee and tea debate. In other words, the number of individuals who choose hot chocolate as their main hot beverage of the day are few and far between. Most people who consume it do so in the same way they consume wine – as a special treat rather than one’s primary beverage. This has given rise to a whole culture of gourmet hot chocolates and specialist cocoa drinks. Those who consider themselves hot chocolate connoisseurs are as passionate about their drinks as even the most snobbish of wine snobs. But it’s all good. If hot chocolate is your thing, enjoy! The debate over the superiority of coffee or tea will continue as long as people drink them. For now, coffee is still the clear winner.